Finca El Cisne is a century-old farm in the coffee-growing highlands of western Honduras, about a 45-minute drive from the famous Copán Maya ruins. 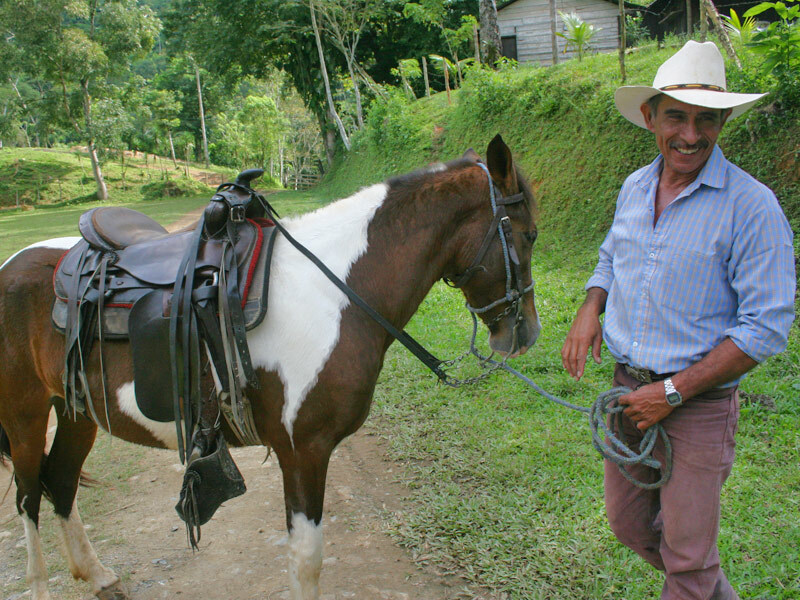 It’s a family-run operation that has been passed down from one generation to the next and comprises vast stretches of land where Arabica coffee and staple crops like corn and beans are cultivated, as well as tropical edibles like avocados, plantains, oranges, star fruit, and pineapple. There are pastures for Brahman cattle (they supply the farm with meat and dairy) and horses used for breeding. Environmental conservation has always been a priority at the farm, and a large chunk of forest (home to toucans and armadillos) is protected by El Cisne. After lunch and more exploring (cardamom is another significant crop grown at the farm and guests will learn how it’s grown, cultivated, and used), a soak in the nearby thermal springs is a perfect way to top off a delicious day.